"In this paper I show that option traders in the late 19th century not only had an intuitive grasp of the main determinants of option prices but they have also developed no-arbitrage pricing formulas for determining their prices. The option pricing formulas are described in a book called “PUT-AND-CALL” written by Leonard R. Higgins in 1896 and published in 1906.2 Higgins was an option trader in London and in his book he describes option pricing methods and option strategies used in the late 19th century in the City of London. The pricing approach described in Higgins book could be summarized as follows: First, traders were pricing short-term ATMF straddles (30, 60 or 90 days to maturity. The prices of the ATMF straddles were set equal to the risk-adjusted expected absolute deviation (Higgins uses the term average fluctuation) of the underlying price from the strike price at expiration. The expectation of the absolute deviation was based on historical estimates plus a risk premium for future uncertainty as well as some other markups. Given the ATMF straddle prices as reference points Higgins is using a linear approximation formulae based on put-call parity to price slightly out-of-the-money (OTM) and slightly in-the-money (ITM) put and call options. I show that the approximation used by Higgins is analogous to a first order Taylor expansion around the ATMF straddle price. Higgins’s book is an important reference in the history of option pricing because it provides a pricing framework based on empirical rules and approximation methods for determining option prices. Higgins’s method could be taught in introductory derivatives valuation courses before the Black and Scholes and the binomial model to help students appreciate the historical development of option pricing methods and the contribution of option market practitioners." Title: Does Interest Rate Exposure Explain the Low Volatility Anomaly? "A relation between the low volatility anomaly and government bonds makes sense if volatility is thought of as an indicator of how far equity is removed from bonds in the capital structure. In this study our main finding is that the outperformance of low volatility stocks can be explained by differences in interest rate exposure. We find that low volatility portfolios have more exposure to this risk. Our results imply a strong implicit exposure to interest rate risk of low volatility portfolios. We estimate that the duration of the lowest volatility decile corresponds to a 30% weight to bonds. 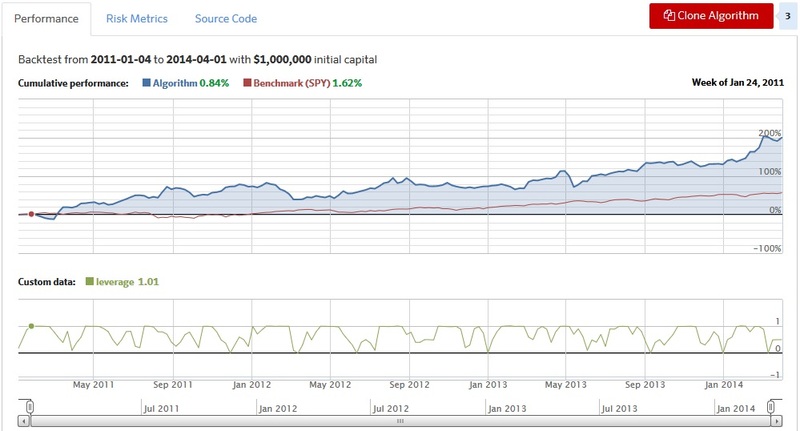 The duration of the highest decile corresponds to a short position of 100% short bonds. Because of the differences in exposure, the risk premium that we estimate explains part of the excess return of a long short portfolio. We find a monthly compensation of interest rate risk in equities of 0.91%, with a standard error of 0.20%. The differences in interest rate exposure combined with the large estimated risk premium, results in a significantly reduced mispricing of low volatility stocks. We find these results to be robust for taking into account the time variance of the interest rate exposure. For our study we use ten portfolios over the period from July 1963 to December 2014, defined by sorts on residual variance of individual US stocks using the Fama French 3 factor model. In section 3 we elaborate further on this. We define an interest rate factor as the return of an equal weight portfolio consisting of US government bonds with various maturities. In order to estimate the interest rate exposure we run time series regressions. Fama MacBeth regressions are employed to estimate the premium for the interest rate exposure. Combined these two enable us to evaluate the impact of this effect on the unexpected excess return of the long short portfolio. We use several different estimations of the premium in order to test the robustness of our findings." This paper elucidates the channels through which sovereign risk, exchange rates and currency risk premia are related. I show that the channels are different depending on whether a country is classified as emerging or an advanced economy. Generally, for emerging market economies, local sovereign risk factors, namely country-specific political risk and macroeconomic risk do play a significant role in the depreciation of the local currency relative to the U.S. dollar. Whilst there is no convincing evidence that local determinants of sovereign risk cause a depreciation of currencies of advanced economies before the 2007 financial crisis, I do find that political risk does matter for advanced economies in the post-crisis era. For both sets of economies, global factors also play an important role in the relationship between sovereign risk and exchange rates. Secondly, double-sorting 34 currencies into different portfolios based on the level of macro risk and political risk, I provide evidence that local determinants of sovereign risk are priced in the FX markets, i.e. they can forecast currency carry trade excess returns in the cross-section. Local political risk in particular seems to have become an important carry trade risk factor in the post-2007 financial crisis era. This is the first research to explain carry trade excess returns with local sovereign risk factors as against sovereign risk as a whole. ecting low level of political risk. Following (Bekaert et al., 2014), I construct country political risk as the difference of the log inverse of the ICRG rating for a country and the log inverse of the equivalent rating for the U.S.A, i.e. log(1/pr^f ) - log(1/pr^us). nd that political risk does matter for advanced economies post-2007 crisis. For both sets of economies, increasing global risk aversion generally leads to a depreciation of the currency under all sub-samples. Secondly, I investigated whether our local determinants of sovereign risk have the ability to explain currency carry trade excess returns. I do find that they indeed do. Portfolios double-sorted on country-political risk and macroeconomic risk produce excess returns and slopes that increase from low political risk portfolios to high political risk portfolios under all macro risk groups in the post-2007 crisis sub-period. The argument for political risk being priced is less convincing under the pre-2007 crisis sub-sample. Instead, there is a stronger case for macro risk being priced pre-2007 financial crisis whereas the argument for macro risk is weaker post-2007 financial crisis." We are really excited that Quantopian & Quantpedia Trading Strategy Series continues with a second article focused on Reversal Effect during Earning Announcements (Strategy #307). Eric C. So of MIT and Sean Wang of UNC in their paper News-Driven Return Reversals: Liquidity Provision Ahead of Earnings Announcements show that abnormal short-term returns reversals take place during the period immediately surrounding earnings announcements. They surmise that this reversal results from market makers' response to a temporary demand imbalance, as they temporarily shift the stock's price to ride out the imbalance. Quantopian's analysis by Nathan Wolfe confirms initial findings of So & Wang original academic paper. Nathan finds evidence of returns reversal during earnings announcements; while the paper tested using data from 1996 to 2011, Nathan used data from 2007 to 2016. The average reversal among all stocks in his data is 0.449%, compared to a result of 1.448% in the paper. He found that we can reasonably increase the reversal to 0.6% by selecting firms based on a minimum average dollar volume percentile, or based on a minimum market cap. We investigate the maturity-structure of roll strategy returns in the energy futures markets. Our innovation is to report and analyze the risk/return profile, the Sharpe ratio, and the asset pricing loadings of rollover strategies based on futures contracts of the same underlying commodity but with maturities between two and 12 months. We find that a conditional rollover strategy, which takes a long position in backwardation and a short position in contango, delivers the highest Sharpe ratio for all commodities. While we don't observe a significant difference in terms of asset pricing beta for different roll positions, the Sharpe ratio tends to be higher for contracts with a shorter time to maturity. We also report some distinct patterns of maturity-structure across energy commodities. Findings of the paper have implications for managing commodity-based investments. "The rollover (or roll) strategy includes entering a futures contract with a given time-to-maturity, holding the futures contracts for a certain time period (typically for one month), and then closing the position to realize the return generated by changes in the price of the underlying futures contract. The investor then opens a new futures contract position (with the same time-to-maturity as before) and repeats the strategy. fferent time-to-maturity or what we call maturity structure of roll yields. By allowing the investment strategy to enter and exit futures contracts beyond the front month and to hold the contract for a time shorter than its maturity, we construct the maturity structure and discuss its properties for the ve selected commodities. We document a monotonic relationship between the length of futures contracts and three key measures: the average return, the volatility of returns, and the Sharpe ratio. The results are robust for all commodities. The average return and volatility curves all decline with the length of the futures contract. However, the slope of the Sharpe ratio curve depends on the investment strategy chosen. For unconditional investment strategies the slope is positive, meaning that the further into the future the maturity date of the futures contracts, the higher is the Sharpe ratio. The relationship gets reversed when the investment position is conditioned on the slope of the forward curve."